FDA-Approved Knock-Offs Of Biotech Drugs Could Safely Save Big Bucks : Shots - Health News Drugs that consist of proteins and antibodies typically made by living organisms represent the new frontier in drug industry competition. 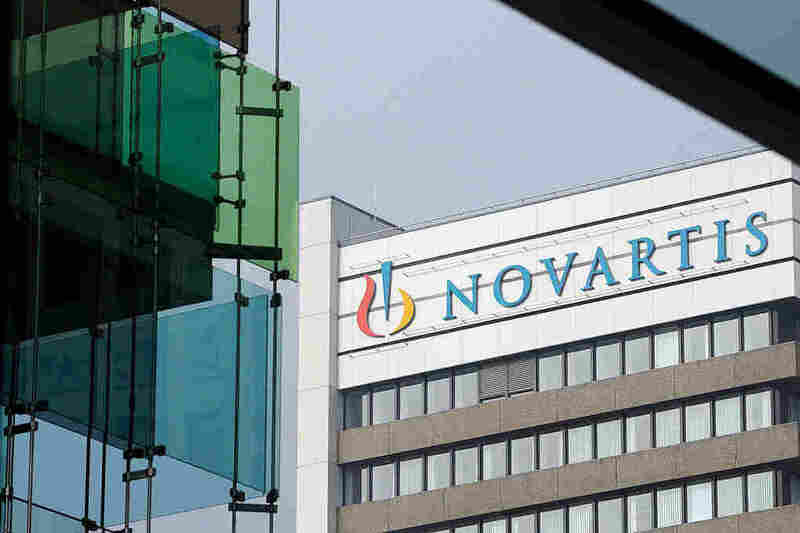 In 2015, the Sandoz unit of drugmaker Novartis won Food and Drug Administration approval of a drug called Zarxio, which is similar to Amgen's Neupogen, a medicine that boosts the production of white blood cells. Copycat versions of biotech drugs work just as well as the originals and cost a lot less, according to an analysis of studies of the medicines. The analysis by researchers at Johns Hopkins Bloomberg School of Public Health finds that so-called biosimilars — medications that are meant to mimic, and compete with, complex and expensive biotech drugs — perform as well as the brand-name versions. The researchers looked at data from 19 studies of biosimilar drugs that treat rheumatoid arthritis, inflammatory bowel disease and psoriasis, and found that they were comparable to the originals and would cost less. The findings will appear in the Aug. 2 issue of Annals of Internal Medicine. "Hopefully, this will encourage the brisk adoption of these products," said Caleb Alexander, the study's lead researcher, in a release. "There is no question that greater competition in this market will benefit patients, prescribers and society in the long run." Biologics include proteins and antibodies that are typically made by living organisms. They're more difficult to produce than medications made from mixtures of chemicals. It's also next to impossible to make an exact copy of a biological product, which is why the drugs are often referred to as biosimilars. There was a provision in the Affordable Care Act meant to encourage development and approval of biosimilars, but progress has been slow. The Food and Drug Administration has approved only two such drugs since the law passed in 2010. Zarxio, the first biosimilar drug approved in the U.S., is expected to save about $6 billion a year because it costs less than Amgen's Neupogen, the brand-name product. The medications help boost the immune systems of chemotherapy patients by increasing production of white blood cells. In April, the FDA approved a second drug that is similar to Johnson & Johnson's Remicade to treat colitis and Crohn's disease. That drug, called Inflectra, is one member of the class of biosimilars that the researchers at Johns Hopkins examined. There are several other biosimilar drugs in this class available in Canada, Asia and Europe. The Johns Hopkins study is important because drugmakers have raised questions about biosimilars since they aren't identical to the drug they're supposed to mimic. Many are fighting approval of the drugs, and some argue that they should not be substituted for a brand-name drug without a patient's consent. But IMS Health Informatics says there are 50 biosimilars under development. All told, they could save U.S. and European health systems as much at $110 billion over the next five years, the company estimates.